Take a look at your webpage. Does it look as good as your competitor’s webpages? Does it look dated and maybe like it was made sometime in the 1990s? There are a lot of different ways that you can make this assessment and determine when to update your website, but one of the most useful is to take a look at the current trends in web design and to see whether or not your site is incorporating any of them. Remember, not all trends are good ones, but there definitely are some great ideas out there right now. One of the most common features you’ll see on modern webpages is a columnar layout. Most webpages these days are two- or three-column affairs. This allows the website owners to get a great deal of content on the webpage without crowding it out. If you’re still on a primitive one-column website, it’s a good idea to talk to a web designer about adding columns when you update your website. One of the reasons you may want to do this is that it actually allows you to cut down on the number of pages on your website. Some of the worst and most outdated websites out there have a separate contact page, which is the only place you can find contact information on the entire site. Others don’t even have a clearly indicated contact page but, instead, have tiny text on the bottom of the page that users are expected to find if they want to talk to a human being. One really useful trend out there is putting contact information all over the site. It’ll show up in the columns, on the footer, at the end of articles and so forth. You may want to consider taking advantage of this trend when you update your website. It makes it very easy for people to take an action after reading a call to action. Short paragraphs are actually a pretty significant website trend these days and should be something to consider when you update your website. Over time, it’s become apparent that people prefer their information in short, easily digested paragraphs. If your content is entirely made up of long, intimidating paragraphs, consider hopping on the bandwagon and chopping it up a bit or having it rewritten altogether as you update your website. Whenever your website looks outdated to you, it’s time to update it. 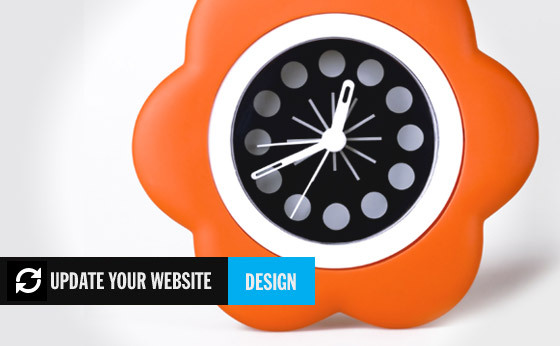 Take a look at the current trends in website design and see which of them appeal to you. Chances are, quite a few of them will.